SINGAPORE – New year, new adventures. Join the party to mark the 30th anniversary of the fall of the Berlin Wall, delve deeper into beloved Japan or rediscover the romance of Egypt. The hottest destinations and experiences for 2019 await the traveller. The next big thing in the country is the new US$1-billion (S$1.4-billion) Grand Egyptian Museum, which will display King Tutankhamun’s entire burial collection of 5,000 objects for the first time. The boy-pharaoh’s death mask, gold-filigree sandals and shield embellished with cheetah skin will be arrayed inside a replica of his tomb when the world’s largest archaeological museum opens early next year near the pyramids of Giza. As Egypt is a realm of ancient history, with a varied landscape of deserts and deltas and a warm North African climate, “travellers are being drawn back to Egypt for holidays filled with culture, antiquities and sunshine”, he adds. Luxury Gold specialises in five-star travel and its week-long Elegance Of Egypt tour includes three days cruising the Nile on a luxury river ship. Guests can tick off the pyramids of Giza and Valley of the Kings, as well as enjoy high tea at Sofitel Legend Old Cataract Aswan, a Victorian palace-hotel on the banks of the Nile that was a favourite of British wartime prime minister Winston Churchill and English crime novelist Agatha Christie. Adding to the new buzz surrounding Egypt is the new Hollywood adaptation of Christie’s whodunit, Death On The Nile. Helmed by British actor-director Kenneth Branagh and starring Wonder Woman actress Gal Gadot, it will be released in 2020. Glitzy hotels will open next year, including St Regis Cairo, which has vistas of the Nile and Old Cairo. Beyond the capital Cairo and the Nile, Lightfoot Travel, which has a Singapore office, suggests activities such as climbing Mount Sinai and camping under the stars. Travellers can register their contact details and travel plans at eregister.mfa.gov.sg. Australia always has something new to delight or inspire travellers. 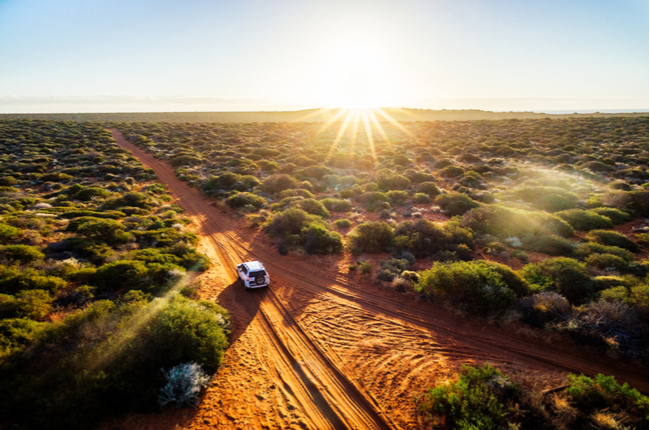 Western Australia’s new food and wine trails entwine culinary pleasures and travel with scenic drives past rugged coasts, tall timber forests and pastures. The 14km-long Swan Valley Sweet Temptations Trail, for instance, is an easy drive from Perth to wineries and world-class artisanal shops, where one can relish French macarons, handmade chocolate, pure honey and sparkling moscato wine. The picnic spot is at tranquil Maali Bridge Park on the banks of the Swan River. These self-drive expeditions, which last from several hours to multiple days, are listed on the Trails WA smartphone app and website. There is no dearth of new tours, luxury getaways, flight routes or other enticements in Australia. In the new Save The Tasmanian Devils guided tour, visitors join the research effort to save the last disease-free wild Tasmanian devils. The four-wheel-drive adventure is run by the Tasmanian Devil Unzoo, a “zoo without cages” which creates experiences combining up-close animal encounters, wildlife adventures, a Tasmanian native garden and original art. For book lovers, Sydney’s swanky new library at Darling Square will open in the middle of next year. The futuristic spiralling space is spread over two floors, with a makerspace – a collaborative work space for creative start-ups. Qantas will launch a direct service on March 31 between Sydney and Bendigo, a former gold-mining town in Victoria. In the mid-1800s, 20 per cent of its population came from China – they became miners and merchants. Wander the Golden Dragon Museum, which preserves the Chinese heritage, or descend through the “nine levels of darkness” at the Central Deborah Gold Mine. From June next year, SilkAir will have daily flights to Cairns, up from the current five weekly services. Uzbekistan has fresh appeal for Singaporean travellers, whether they are adventurers or holiday seekers on group tours. EU Holidays has just staged its inaugural mass-charter tour of Uzbekistan, from Dec 21 to last Friday. The home-grown specialist in Europe and America tours says it is the first travel agent in Singapore to plan a chartered flight of this scale – for 120 guests – to the Central Asian nation through which the ancient Silk Road winds. EU Holidays noted that the country, which is now more accessible, “is fast becoming a destination of choice” for Singaporeans in search of the exotic. Uzbekistan Airways has direct flights to the capital, Tashkent. Guests on its tour ventured into the culture-rich cities of Khiva, Samarkand, Tashkent and Bukhara. They also observed how the local rice dish, Bukhara pilaf, was made. “When travelling through Bukhara, make a stop at the antique-filled Silk Road Tea House. Here, the Ubaydov family serves steaming cups of cardamom coffee to revive even the most jet-lagged traveller,’’ says the travel agency, which lists Uzbekistan among its top 10 destinations for next year. The Berlin Wall divided Germany during the Cold War until the notorious barricade fell on Nov 9, 1989. Today, its graffiti-covered vestiges are a jubilant symbol of German reunification and the swift demise of communism across Eastern Europe. The sense of Berlin’s special history will intensify next year, when the German capital, which evokes freedom, fetes the 30th anniversary of the Berlin Wall’s fall. Year-long celebrations are replete with the feeling that history is everywhere even as Berlin is ultra-modern. A 160km run along the remnants of the wall once patrolled by border guards will be staged in August. A free multimedia app, About Berlin, portrays the city’s history in 200 short stories. West Berlin escape enabler Peter Schulenburg, for instance, built a 145m-long tunnel that was a glimmer of hope for East Berliners, according to visitBerlin. The organisation promotes tourism in Berlin, a top European destination after London and Paris. Other star events are a Berlin Philharmonic concert (February), a 360-degree immersive panorama of a divided Berlin in the 1980s (November) and a new permanent exhibition, Access To Secrecy, on the Stasi Records Archive that stores surveillance documents and personal data on citizens. Even without the anniversary, Berlin is a magnet for millennials and museum lovers. Mr Vinod Kannan, chief commercial officer of Scoot airlines, which started flying non-stop four times weekly to Berlin in June, says the route is popular. “As one of Europe’s most up-and-coming cities, Berlin is a hip, burgeoning metropolis known for its strong entrepreneurial and start-up scene, as well as edgy arts and culture,” he adds. Another reason to party next year: Berlin marks 100 years of the Bauhaus modern design movement, in which more walls fell – between fine arts, crafts and industry. To rediscover the Bauhaus story, Berlin’s events include a walking tour, 600 Years In One Jump, through the prefabricated Alt-Marzahn village. The Bauhaus centenary website lists year-round events, from new museums to a grand modernist trail of 100 places across the land. Germany is growing popular with Singaporeans. Visits have been rising by double digits in recent years, according to the German National Tourist Office (Asean). The country has emerged as the next “must-go” European destination after Britain and Italy. Data from Klook, an in-destination services booking platform, shows that Berlin and Munich are Singaporean favourites, along with tours conveying Germany’s fairy-tale beauty. One such tour highlights Neuschwanstein castle at the bottom of the Alps and Oberammergau hamlet, which stages passion plays every decade. For travellers, Seattle is an exciting glimpse of the American lifestyle and its globe-girdling corporations. Amazon, Microsoft, Boeing and Starbucks are the city’s home-grown titans that have changed how people worldwide shop online, compute, fly and drink coffee. Seattle is also known for its love of the arts and great outdoors. The liveable, laid-back city is filled with public art and multi-storey bookshops, while snow-dusted Mount Rainier is thrillingly visible from parts of the metropolis. Take the cue from the locals, who spend glorious weekends picnicking and camping on the Seattle outskirts. On Sept 3, Singapore Airlines (SIA) will start flying non-stop to Seattle, a journey of 14 to 16 hours, on the new Airbus A350-900 long-haul aircraft. Undergraduate Lionel Cheng, 21, had visited Seattle six times before enrolling at the University of Washington in September. He says: “Seattle is a cosmopolitan city with a strong food and coffee culture set in the beautiful Pacific Northwest. He recommends the transformed Space Needle, an observation tower that is the symbol of Seattle. Guests sit on new, transparent benches called Skyrisers – set against glass walls, which replaced the tower’s selfie-unfriendly safety caging – for a sensation of floating above the Seattle skyline. For more highs, Boeing runs daily public tours of its gargantuan facilities, the world’s biggest building, in Everett, which is north of Seattle. Tours of Amazon and Microsoft are also possible. Or pop into the Original Starbucks at Pike Place Market – the first of more than 28,000 stores in the world that opened in 1971. However, also explore Seattle’s indie cafes as Starbucks is just one element of the coffee scene. Bruce Lee fans can visit the modest graves of the gongfu legend and his son, Brandon, in Lake View Cemetery, which has views of Lake Washington. The state of Washington, where Seattle is located, is counted among the 15 American West states that are enjoying their moment in the sun. Seattle is driving distance from Wild West towns such as Ellensburg, which has a rodeo. Next year, a trio of classic western movies turns 50 – Butch Cassidy And The Sundance Kid, True Grit and The Wild Bunch. Also, the Grand Canyon in Arizona marks its centennial as a national park next year, with events such as a Summerfest & Star Party and American Indian Heritage Days. Less traversed places in Japan are rising on the horizon of travellers who have long loved the country and are ready to delve deeper. Heard of Tottori? No? That is not too surprising as foreigners form just 5 per cent of its visitors, according to Tottori tourism officials. Yet, the western prefecture is a secret gem with sand dunes that fun-lovers criss-cross on camels. A seafood paradise, Tottori nets three times more crabs than Hokkaido. Its daisen beef is as delicious as Kobe’s, but costs less, although both prefectures breed the same Japanese Black cattle, according to the Michelin Guide, which also recently placed on its Bib Gourmand list a ramen house on a used car lot. Tottori enjoyed a moment of international fame in August, when American late-night talk-show host Conan O’Brien visited Hokuei – nicknamed Conan Town after the anime character, Detective Conan, a man trapped in a child’s body who solves crimes. With these motley delights, GaijinPot, an online guide for foreigners living in Japan, has just ranked Tottori first on its top 10 list of Japanese destinations. “Adventurers and the anime crowd are noticing this buzzworthy destination,’’ says the website in a recent post that was picked up by news outlets. Tour operators are also noticing Tottori. G Adventures, a Canadian small-group adventure travel company, listed Japan first among its top destinations for next year and zoomed in on off-the-grid Tottori that offers “a true taste of Japan”. Mr Ong Hanjie, managing director of EU Asia Holidays, has seen a recent uptrend of Singaporeans heading to exotic prefectures. He cites Kyushu, an island of many volcanoes with hot sand baths and unagi rice delicacies. On Tohoku, a remote north-east region steeped in Japanese tradition, he says: “Travellers can visit sake-making houses or local farms that produce fresh vegetables and fruit for other parts of the world. Walk Japan, an adventure company that pioneered walking tours across the country, also has Tohoku tours, such as a snowshoe trek. Mr Paul Christie, its chief executive officer, says Singapore is its third-largest market after Australia and the United States. “Our tours delve deep into Japan’s geography, culture and society, which attest to Singaporeans’ interest in going beyond the more commonly visited destinations and activities in Japan,’’ he says. Japan enthrals in every season, but here is a tip from holiday specialists: Go next year before the world descends on Japan for the 2020 Summer Olympics. Mexico is now big on the global culinary map, though people tend to imagine sultry Caribbean beaches and mesmerising Mayan ruins. Travellers will encounter flavours more nuanced than fast-food tacos and feast on specialities in every region. Pujol in the upscale Polanco enclave in the capital has a playful, inventive twist on street food, elevating it to haute cuisine. It is on this year’s list of the World’s 50 Best Restaurants. In perspective, the South American continent, with its fresh, varied ingredients and creative spirit, has been rising as a foodie destination. Beyond Peruvian cevicherias, Argentine steak houses and Brazilian churrascarias, there are lots for food and wine lovers to discover. Think wine lodges, local markets, artisanal chocolate, exotic fruit and more. Each dish and experience becomes the traveller’s window into the country’s lifestyle and culture. Besides Mexico, Peru has shiny credentials as an epicurean powerhouse. Aracari Travel notes that Peru is blessed with a natural biodiversity that produces an astonishing array of ingredients. Couple that with a rich history, internal migration and creative minds – and the country, notably its capital, Lima, is exciting for the world’s foodies. Little Bolivia, meanwhile, has inspired celebrity chef Claus Meyer, co-founder of Copenhagen’s two-Michelin-starred Noma, to open gourmet restaurant Gustu in the capital, La Paz. It offers indigenous fare in a minimalist setting.